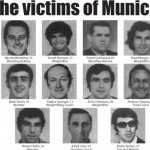 Currently viewing the tag: "terrorism"
Most likely you have seen the flurry of headlines (and controversy) surrounding the 1972 Munich Olympics Massacre where 11 members of the Israeli delegation were killed by Arab terrorists. As usual at the Lighthouse, we are concerned more with substance than symbolism or euphemisms and niceties. More importantly, more concerned with what Israel as a nation (as well as her allies) does herself as opposed to her complaining about what less than friendly (or enemy) countries do instead. When that angle is explored, just as in many other issues facing Israel and the Western world, the truth is no less than shocking.